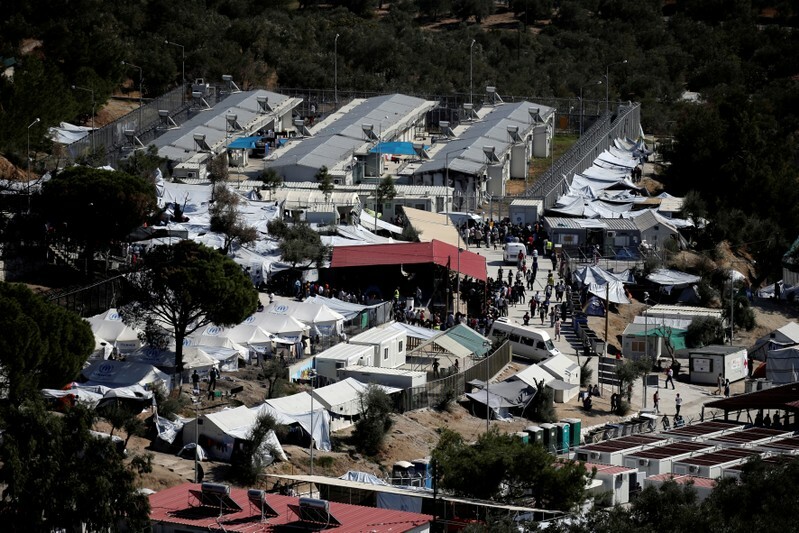 ATHENS (Reuters) – The Greek police has suspended an officer and ordered an internal inquiry after a video showed him verbally abusing an elderly woman at a migrant camp, police said on Saturday, amid growing violence toward migrants in Greece. The woman was standing in a long line waiting for food handout at Greece’s biggest migrant camp in Moria on the Aegean island of Lesbos, when the police officer insulted her using offensive language. The police said it would carry out an internal inquiry into the incident for racism and will also examine whether three other police officers shown in the video should also be suspended. The three officers were standing nearby but took no action. Attacks on migrants have been creeping up in Greece which is struggling to cope with thousands of people stranded in overcrowded camps since a migrant crisis broke out in 2015. The Moria camp has long been described by the United Nations and other human rights organizations as overcrowded and unfit for humans. More than 7,300 refugees and migrants are currently in the former military camp in a collection of shipping containers and flimsy tents, more than double its 3,100-person capacity, according to the latest government figures. To ease overcrowding, authorities have begun moving hundreds to facilities on the mainland. 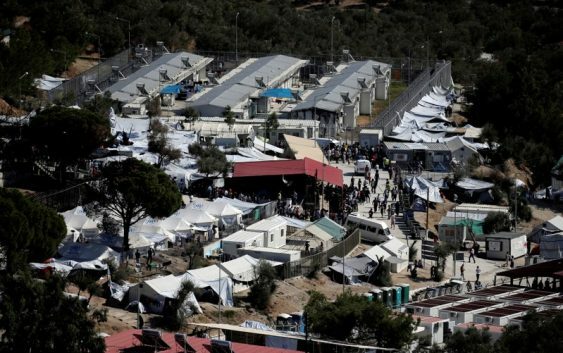 Athens-based NGO Racist Violence Recording Network has said the poor living conditions of refugees and migrants on Greek islands were fuelling xenophobic rhetoric in local communities, sometimes with “extreme manifestations”.